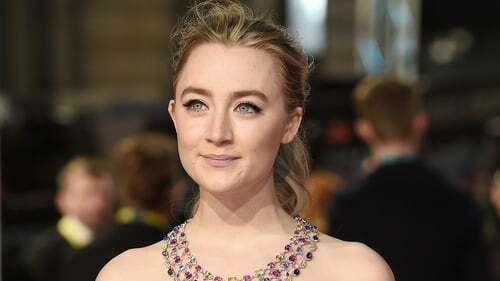 Dennis Quaid has apologised for famously mispronouncing Saoirse Ronan's name while calling out the Golden Globe nominees for the 2016 ceremony, when he referred to the Irish actress as 'Sheesha Ronan'. Ronan was nominated for Best Actress for her critically acclaimed role in Brooklyn, but it wasn't her nomination that garnered the most attention, it was Quaid's hilariously botched attempt to pronounce her nam. Despite all the mocking that followed, however it seems that he still hasn't quite mastered how to say her name! "I still can't get it," Quaid laughed during an interview with Today FM's Ian Dempsey about his upcoming movie, A Dog's Purpose. "I apologise", he added offering a long-awaited mea culpa. After Quaid's diabolical attempt at pronouncing the Carlow native's name, TV chatshow host Ellen DeGeneres intervened and went to great lengths to make sure that no one got it wrong for the actual Golden Globes ceremony. During an appearance on the show, Saoirse was presented with one of DeGeneres' special gifts – a huge wearable sign that reads, "Hello, my name is Sur-Sha". It even featured special pockets for champagne bottles and snacks. It wasn't the only helping hand given to American audience's bewildered by the complex vowel combination of her Irish name. At the New Hollywood Awards the month before Quaid's big flub, Ryan Gosling gave the audience a lesson in how to master the pronunciation. Thanks to her pal's intervention, US audiences were warned that her lovely name wasn't pronounced 'Say-or-see' or 'Seer-say'. "It's "Sersha, like 'inertia", he clarified. Bless. Awards season is no stranger to the odd upset in the name pronunciation department. Many have likened the butchering of Saoirse Ronan's name to the infamous Adele Dazeem/Idina Menzel moment at the 2014 Academy Awards courtesy of John Travolta.